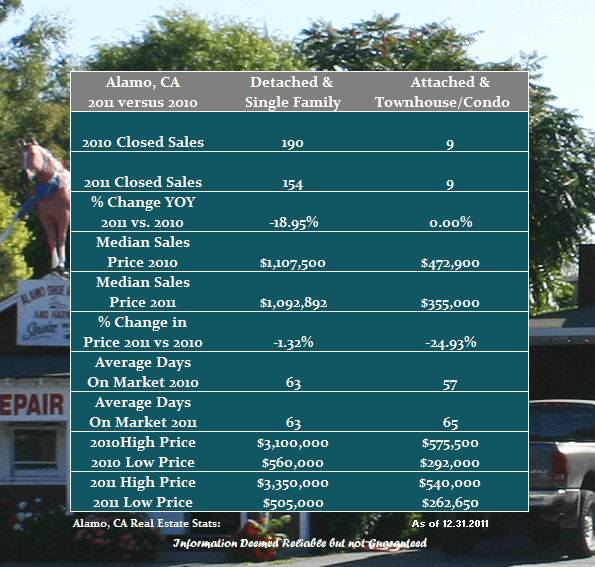 The New Year is here and it is time to take a look at how the Alamo Real Estate Market finished out 2011 versus 2010. As far as the single family home market is concerned there was drop off in the number of homes sold with total unit sales down 46 on a year over year basis. Median home prices held steady experiencing a decline of just a touch over one percent. The average time it took to get a home into contract remained steady at just over two months. As far as the Townhouse and Condo market was concerned the data sample is too small to make broad assumptions. Median pricing was certainly under pressure but marketing time remained fairly constant. Share the post "Alamo 2011 Year End Real Estate Review"